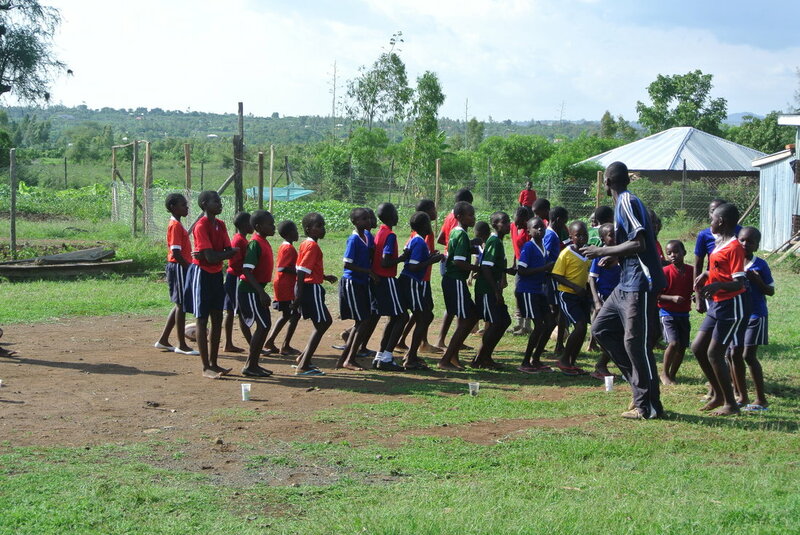 The Pamoja Sports Program was born out of a need to provide students at Akili School with an opportunity to engage in structured, and even competitive, physical activity. The Sports Program has gradually expanded to have more of a community-oriented focus, while still maintaining its inherent link with Akili School. The program is also coming to prioritise the personal development of participants, using sport as a vehicle to mobilise children to participate in life skills education sessions. As the program is based at Akili School’s senior campus at Obambo, we operate mainly in Obambo village. As such, the non-Akili students that we currently work with are generally from Obambo, although some do travel from the Obunga slum for our weekend training sessions. At present, we offer after-school training in football and netball to Akili students on Tuesdays and Thursdays, as well as football training sessions on Saturday and Sunday to any children in the community who wish to participate. Approximately 40 children are attending our weekend sessions at the present time. We welcome all children aged under 18 years old. We have established one organised team – a U/14 boys football team – which is participating in a local competition. We have begun providing some life-skills education to participants, but this is currently only done in an informal way at the conclusion of football training sessions. Kennedy Odera is the team leader of the program. Kennedy is a qualified football coach who grew up in Obunga himself, and thus has a great ability to relate to the children. Kennedy is a natural motivator of people and is extremely passionate about the program. ​Why is the Pamoja Sports Program Needed? There is a great demand in the communities of Obambo and Obunga for organised sporting programs. The number of organised football clubs in the area is currently insufficient to satisfy this demand. Our program helps to rectify this issue, giving children a chance to enjoy the many benefits of participating in a sport. The communities of Obunga and Obambo are also plagued by food insecurity and high levels of unemployment, domestic violence, and HIV/AIDS infection. We are aware that sports have a real power to mobilise children; it is arguably the single most effective means of getting many children to gather in one place, at one time, of their own accord. We will harness this power in order to provide children with much needed education on things such as smart farming techniques, violence prevention, sexual and reproductive health, and career guidance. This will empower the children of Obambo and Obunga to take control of their lives and break the cycle of poverty by which their communities are currently gripped.